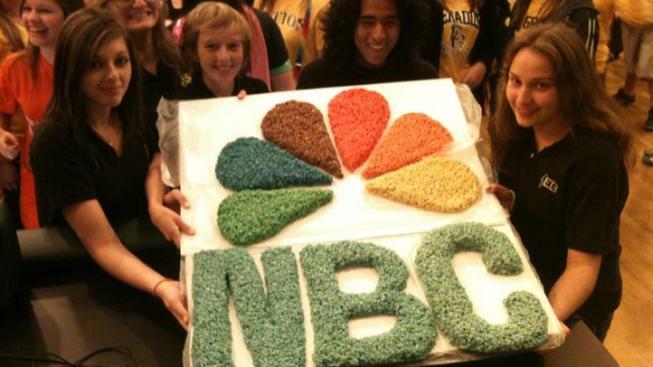 NBC 5 News Today featured Hersey and Elk Grove High School on Prep Destination Dance Friday! Hundreds of GrenNation and Orange Crush fans grooved to “Whoomp! There It Is” for Prep Destination of the Week at Elk Grove High School! It was an early morning tailgate as Grenadiers and Huskies prepared to battle it out for Dance Friday. 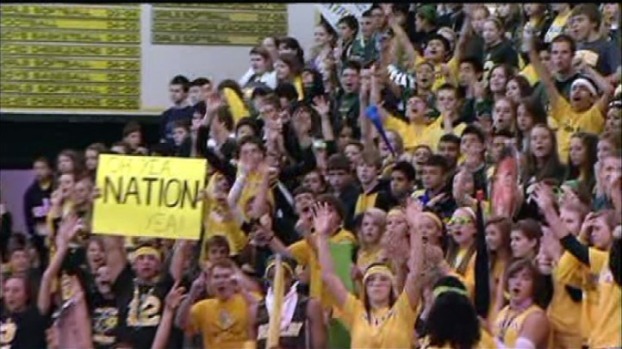 Tension grew as the students filled the gymnasium, while both schools geared up for Prep Destination of the week. Elk Grove High School principal Nancy Holman told us she was excited to see both schools come together despite the quest for the Mid-Suburban League title. You can watch more of the Elk Grove Grenadiers taking on the Hersey Huskies Friday night. Kickoff for the sophomore team begins at 5:00 p.m., while the varsity game will begin at 7:30 p.m. Think your high school has what it takes? Your school football match-up could be the next Prep Destination of the Week. Every week, NBC 5 News Today will take a vote beginning on Monday ending on Wednesday at noon. Be sure to watch Monday morning as the finalists are listed. After polls close on Wednesday, our NBC 5 News Crew will gear up to head to the winning high school for an early-morning tailgate Friday. Remember to watch for your favorite school on Facebook! Cast your Prep Destination vote, and watch NBC 5 News Today on Thursday to see where we’ll head for that week.